This was my opinion of myself. All I wanted was to write great stories. When I decided to take the route of self-publishing (for financial reasons and the freedom and control it provides), I knew I had to do the marketing part. Emphasis on: had to. Being a creative who fought her way to a degree in Engineering, I knew how to approach challenges. I educated myself: read many books on author marketing, listened to podcasts, took several courses. My first release what a disaster: my book swallowed by the dark forest of countless Amazon books, never to return. Can you relate? …some mood swings and I-will-never-make-its combined with comfort food, I began to analyze: Why? How come I was familiar with the theory, and it did not work out? Of course, I had to do the marketing. But I regarded marketing as the “necessary evil”. Deep down, I resented it. If you feel the same way, let’s bust some misconceptions about book marketing right now. 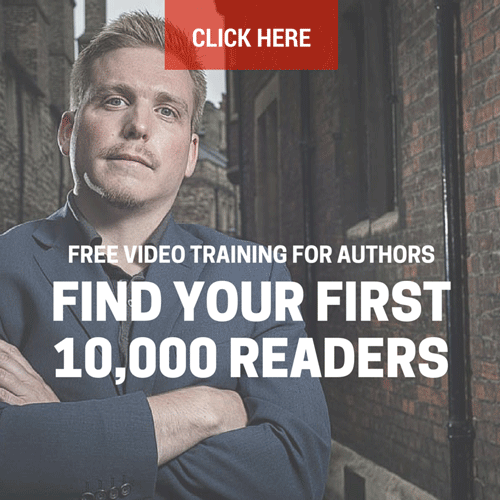 This will change your approach, as it did for me, because those myths are holding you back in becoming a successful, creative and prolific marketer. This is true in every area of life—especially in business. The way you think about marketing will determine your results. Let’s look at the 5 greatest misconceptions that make you fail at marketing and bring back the excitement into the author business. Behind the door awaits the sleazy salesman, trying to charm his way into your living room and your wallet. Sell a product with false embellishments to get his commission. Is this how you feel when you try to market your book? Like the dirty door-to-door salesman, convincing your email list and everybody else that your book it worth their money? A salesman’s job is to trick the people into something they don’t need. But your job is to find those who are desperate for what you offer. That’s why it’s so important to target your reader with knife-like precision. You’re not marketing to everybody. You’re not knocking on every door. And you’re not selling a redundant product. First, face the hard truth that your book might not be for your friends, colleagues, kids or spouse. You want the right audience for your books, those who have been craving it because this is what they consume or because this is the exact problem they struggle with. Second, you want to provide your reader with true value. If the product you deliver is something that will blow them off their feet, you can be proud to market it, sell it with integrity. And the result? They will thank you for it. They will rave about it in the reviews and recommend it to others. You’re not the door-to-door salesman because you are offering a valuable product to the right people, a product that will improve their lives, entertain them and give them what they have been craving. Step Number 1: Create an amazing product/book. Step Number 2: Find your target audience. Giving away all your knowledge for free is like casting pearls before swine. I’m not saying don’t be generous. And giving away things for free is certainly a great strategy to gain a following. But how much ‘free’ is too much? If you give people an extensive resource for free, containing all your knowledge, all your best content, the end-product’s value will decrease in their eyes. This is just how we’re wired. Instead, give away a small amount of your knowledge or content for free, provide value and tease a little for those who want more. Sell the rest. If people enjoyed your free resource, they will gladly pay to dive deeper. But what is the right price to set? A good rule of thumb is: Always price slightly higher than you are comfortable with. This will indicate that your product is premium and high-quality, and attach those who are really interested in it. Aim for the top 10% of your market – or higher. Needless to say, your product should indeed be of a high-quality, offer genuine value and improve over time with your customer feedback. Algorithms, metadata, retailers, SEO, paid advertising, newsletter swaps, giveaways, packaging … where to even start? You are bombarded with all kinds of different strategies. This overwhelm is what scares off the already reluctant and shy marketer inside. The first thing you need to do: bring order to the chaos. Give meaning to all those outlandish words that only seem scary because you don’t know what’s hidden inside. Understanding how the Amazon store works is really not that complicated. And there are great tools and ways to comprehend metadata, organize newsletter swaps and promotions, start giveaways … Here comes the overwhelm again. But the good news is: organization is key. Create a marketing educational plan. Once you label and understand the terms, you will be able to master them. Write your own marketing strategy. One you are confident with based on your research and circumstances, and don’t let anybody else distract you. 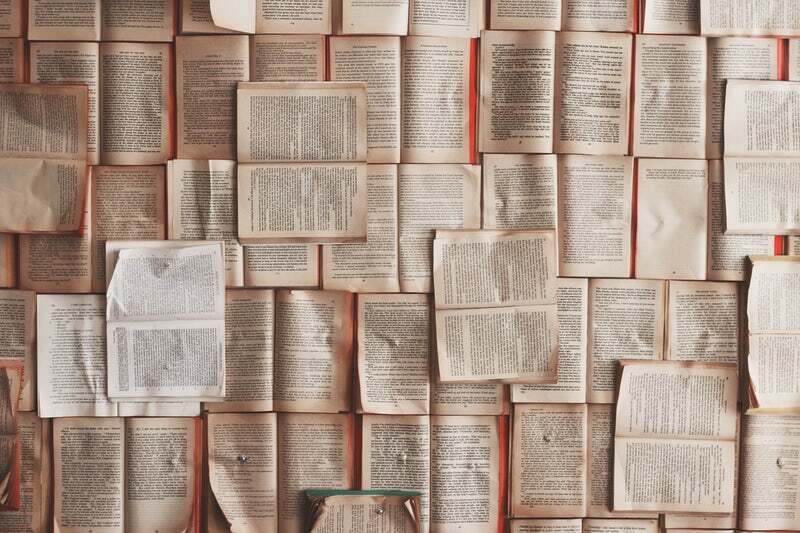 Don’t chase after the newest book marketing hype. Follow through with your own plan. A plan that is tailored to your book. Analyze what works and what doesn’t, and you will be much more confident and relaxed for the next round. There are tons of people out there who won’t like your writing. [Note from Nick: Or, my personal fave: “What other people think of me is none of my business.” Eleanor Roosevelt]. Fiction authors especially struggle to narrow down their audience. They make the fatal mistake of “writing for everybody”. It’s a mindset that’s destined to backfire. In his book “On Writing”, Stephen King introduces the concept of the Ideal Reader, which for him is his wife Tabitha. He envisages her whenever he writes his stories, and she is the person King’s books are truly meant for. Not all of us are that privileged to have our spouses be our ideal readers. I certainly don’t (to be honest, my husband rarely finishes any books …). But your ideal reader does not even have to be a real person. More often, it’s an idealized figure with certain traits – and you need to figure out what she looks like. There are several strategies to define the Ideal Reader. You can use the Audience Insights on Facebook to look at the demographics of your followers. You can consider the “also boughts” on your Amazon Author Page to find what else your readers are buying. And most importantly – talk to your readers. Try to establish a dialogue with them through email and social media, and gradually, your Ideal Reader will emerge like the image in a puzzle. A word of warning: She might not be what you expect. Accept it, and tweak your marketing to entertain, please and provide value for her. Overnight success happens after years and years of hard work. And still, can you hear the nagging voice inside of you, that ugly whisper that you will forever remain a failure? Failing is the most natural thing in the world, and it’s a necessary step to success. But having failed once or twice feeds this doubting voice, beguiling you to finally give up. I set my mind to expect that I will never succeed with my first book. Not even with my second one. But somehow, deep inside, there was this hope that I *might*. That I would not fail *that* deeply. Sometimes, it’s not a voice inside, but the voice of your friends, relatives, or spouse: So how’s the book business going? Have you made any money yet? Blushing, you avoid the subject. In truth, there is nothing to be ashamed of. Overnight success never lasts. Your goal is a steadfast business that increases steadily. So step by step, you will climb that hill, and maybe it does not look like you are climbing a steep enough staircase, but when you look back over time, you’ll be amazed how high you’ve come. [Note from Nick: “Overnight Success” is a myth. People forget about the years of hard work that go into making something work]. Marketing is a lot about testing. You have to test strategies, fail, tweak, test again, improve, and steadily work on a plan that works. Your first book won’t be a bestseller. But maybe your tenth will. With every new release, you’ll get better and better. Your Ideal Reader is out there – waiting for your next book! When I read those truths, I couldn’t wait to set out and invest my best marketing efforts into my books. Once your attitude towards marketing changes, you’ll see how many things are possible. Marketing is creative and innovative. Don’t forget that your Ideal Reader is probably scrolling through the internet right now, searching for the next book to entertain her or solve her problem. Desperate for YOUR book. One last piece of advice: When marketing, distance yourself from your writing side. Put on “the business hat” (as Joanna Penn puts it), and let the author inside of you take a nap. Forget how much heart you’ve poured into those pages, how much blood you’ve left upon the typewriter. The book is a valuable product now – and you want to get it to the Ideal Reader as efficiently and quickly as possible. Are you excited about marketing yet? Diana Wink is a mountain child from the depth of middle Asia. She empowers creatives to tell great stories and lead a sustainable lifestyle. She is also the writer of the Prometheus Dystopian Trilogy, striving to kidnap her readers into make-believe worlds, blend the borders between past and future, and master her own curiosity. Some really good idea’s there. It does take time and a conscious effort to implement strategies but I think the effort is worth it. You’re certainly right, there are so many myths and doubts we have to fight along the way but the important thing is that we learn and move on 🙂 Good luck on your indie journey! There are some great possibilities nowadays to get into schools and libraries – have you listened to one of the recent Creative Penn Podcast Episodes on that topic? You really should, there are great ideas inside. Good luck! I took a rather pricey class on library marketing. As a result, I got PCIPs for all my books so they’re now in World Cat. I’ve sent over 100 personalized emails to librarians in the database I got with no results. I’ve donated copies to local libraries. I’ll keep trying, but so far no luck. This blog has motivated me to finally chose the topic for my first book. Your blog reminded me that it’s baby steps; there are no wrong steps as long as you get started. Thank you. Necessary affirmation—take a deep breath and take a step backwards—marketing can be conquered! As Joanna Penn recently opined: we (often) can’t compete on price … or speed of publishing … we can learn to compete on being more authentically ourselves and market the latter. Love your quote from Joanna. I’m also pretty intimidated by marketing but by breaking it down into those small steps, it seems less daunting. Well said, Danie, sometimes one can forget to be authentic in all the competition that is out there! Thanks for sharing this, will make sure not to omit this mistake in the future!!! You’re welcome, so glad I could help! Diana, thank you for this lovely post, it is to the point, and very relevant. I don’t know how many half written books i have on my computer. Your clarity inspires me to set about completing these one at a time. Thank you. I’m very happy I could help and inspire. Marketing is a tough journey and it helped me a lot to know that I’m not alone and that it can take years to figure those things out – step by step. Completing a book is the most important one. The good news is – once you have finished this first book, you feel like you can conquer the world! It’s such an inspiring experience. The next books follow suit pretty smoothly, you learn with every completed manuscript. Great post – thanks. Very encouraging. So happy I could motivate! Jonas, I’m so happy that my article could inspire! I know those questions from family members and friends – never forget that we’re in this for the long run and it can take years before we make enough money. But even the first 50 Dollars are so encouraging! Best of luck with your trilogy. Thank you, Gunnar! Finding the absolutely right audience is a tough task indeed, I am still in the process of it. Good luck with the upcoming launch! The biggest roadblock for Authors and Writers is selling. Because we have negative pictures in our head of salesman like Diana wrote. But this on skill also made the biggest difference in my writing life: to sell your ideas, books and yes even “yourself”. That’s ironic because lots of what I know about marketing and selling I know from your amazing course and seeing you live the success 🙂 (all the Germans reading it should go check out Walter’s website!). Great insights Diana. Back in college studying music, I used to hate the idea of business and just wanted to focus on creative work. Now I love marketing because I see it as another creative outlet and way to serve people.